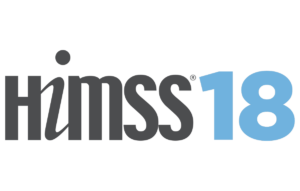 Countdown to HIMSS18! All Covered Konica Minolta Booth 832 preview here | Industry Analysts, Inc.
Konica Minolta Business Solutions U.S.A., Inc. (Konica Minolta), is proud to take part in the industry-leading 2018 HIMSS Conference & Exhibition (March 5-9 in Las Vegas), where more than 45,000 healthcare IT professionals, clinicians, executives and vendors from around the world come together for exceptional education, world-class speakers, cutting-edge healthcare business solutions and powerful networking. O’Dell Covington, MSA, Compliance Manager, Konica Minolta Business Solutions U.S.A., Inc. This entry was posted in All Covered and tagged all covered, HiMSS18, Konica Minolta by IA Staff. Bookmark the permalink.